DigitalPersona has received India’s Standardization Testing and Quality Certification (STQC) for two of its biometric fingerprint readers, the Eikon Touch 500 with TouchChip TCS1 Sensor and the U.are.U 4500 Reader UID edition. 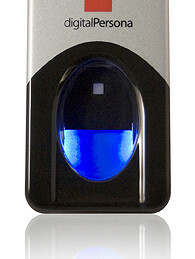 The two products are USB-based single fingerprint scanners. With the certification, the scanners can be used by the UIDAI Program in India. The certification also counts toward the Government of India’s new Direct Cash Transfer program that launched at the beginning of this year. The STQC Directorate is an office of the Department of Electronics and Information Technology, Ministry of Communications & IT, in the Indian government. DigitalPersona was able to get this certification through working with Smart Identity Devices Pvt. Ltd., its partner in India.